Growing up in Cameroon, Africa, Dr. Calistus Ngonghala witnessed firsthand the devastation poverty and diseases like malaria and HIV/AIDS can bring to a community. His personal experiences have inspired his research in developing mathematical models to help fight malaria and other pandemics and in investigating how health interventions can alleviate vicious cycles of poverty and disease. "I am interested in using mathematics to contribute toward the fight against poverty and mass killer diseases like malaria, HIV/AIDS, tuberculosis, etc. Nobody can be more motivated or inclined to this fight than somebody who has a full understanding of the processes and systems involved, and who has felt the impact personally or is connected to people who are currently facing the impact," said Ngonghala. When a community falls below a certain prosperity level, it can lose the ability to generate the economic momentum necessary to rise above that level again, thus creating what's called a "poverty trap." Ngonghala is interested the role disease plays in keeping communities trapped in poverty, otherwise known as disease-driven poverty traps. As a postdoctoral fellow at the National Institute for Mathematical and Biological Synthesis, Ngonghala is exploring the role that mosquito demography and reproduction habits play in the dynamics of malaria and mosquito-borne disease transmission. He is also investigating optimal control strategies for malaria. He hopes his research will provide a framework for designing and implementing effective malaria control strategies and a new approach for modeling indirectly transmitted diseases. "Mathematical modeling is essential in understanding and explaining the biological, epidemiological and economic processes observed both in the dynamics of malaria, as well as in the interactions between disease prevalence and income," said Ngonghala, who has a Ph.D. in mathematics from West Virginia University. 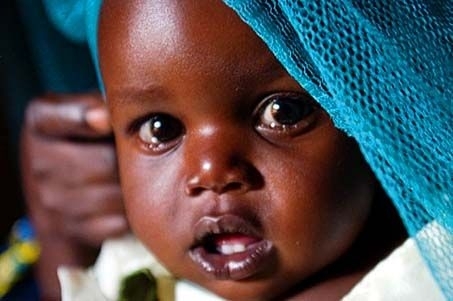 Malaria is one of the biggest killers in developing countries. Transmitted from human to human by the female Anopheles mosquito, it is caused by four species of Plasmodium parasites. Very few current malaria models take into account mosquito demography and reproduction habits. However, Ngonghala's research suggests that an understanding of mosquito demography is necessary to explain the observed patterns in malaria prevalence, as well as to design and evaluate control strategies, including interventions related to mosquito control. Ngonghala's research extends a Susceptible-Infectious-Susceptible (SIS) model into a full compartmental Susceptible-Exposed-Infectious-Recovered-Susceptible (SEIRS) model for the dynamics of malaria transmission, explicitly capturing mosquito demography and other essential biological aspects of malaria. As for his research on disease-driven poverty traps, Ngonghala extends his previous deterministic and stochastic models of disease-driven poverty traps to individual-based, hierarchically structured network models of income growth and disease. The models explore individual-level interactions between income and disease in structured populations and demonstrate that poverty traps can persist, even in populations that have high socio-economic status and are relatively healthy populations, albeit to a lesser degree. He plans to expand this line of theoretical research to more realistic models that can be fitted to data collected from the field.